This product may be purchased in a mix and match lot minimum of 12 pieces for 4.99 each. The 12 pieces can be any combination of items / sizes. Please send an inquiry to support@dapperlads.com for details if interested in a below wholesale bulk purchase. 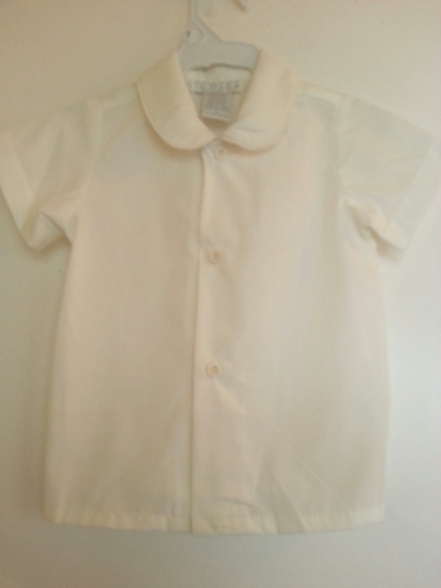 The Peter Pan rounded collar shirt was popularized in the early 1900's. Made of 35% cotton and 65% polyester. Runs true to size. Add to eton suits, shorts or vintage style knicker sets.